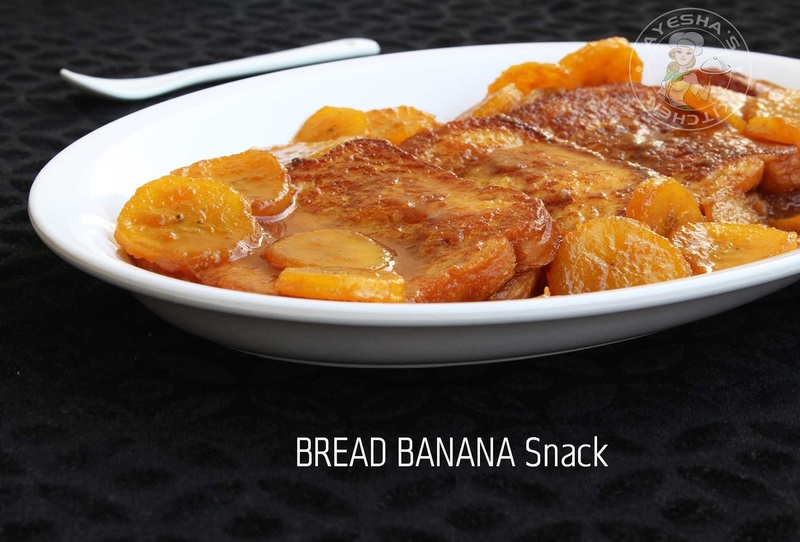 Bread snacks or banana snacks especially plantain recipes are always kids favourite. These kids recipes are very easy to make and at the same time it is scrumptious too. I love to experiment in snacks recipes. Whenever my kids asks fir any evening snacks, I just for some creative snacks recipes using bread and banana. Though Brown bread is my favirite, all my snacks recipes calls for white bread or milk bread only. 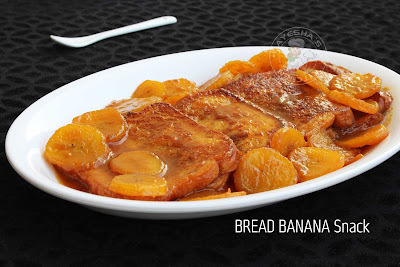 Here am sharing a special inviting snack recipe , a sweet yummy snack using bread and banana. The recipe is very simple. Just make french toast or bread toast and set aside. 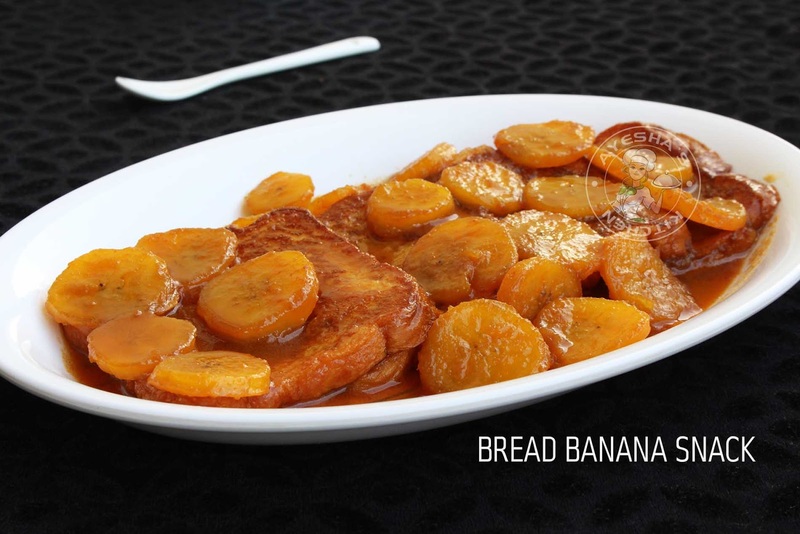 Then cook the sliced banana or ripe plantain in caramel sauce until the banana is done. Then spread the french toast in a serving tray and then top it with caramel banana and its sauce. Serve immediately. Yummy. So hope you all liked this simple snack recipe with Bread and banana. Let's make french toast first. For that, as usual whisk egg, milk and sugar in a bowl. Instead of adding milk you can add more eggs. Heat a pan with ghee or oil. Dip each bread slices in this egg mixture and toast it until both sides are done. When done, transfer it to a plate and set aside. Now make the caramel banana. For that, make the caramel syrup by heating sugar and water. Once the sugar starts caramelizing, reduce the flame to medium low and add butter . You can add melted butter but it must not be too hot. Combine well and then add milk at room Temperature. Combine again. So the sauce is ready. To this add the sliced plantain and cook it until the plantain is done. Now lets arrange tbis in a serving plate. Arrange the french toast in the serving plate. Top it with caramel banana along with the sauce. Serve immediately. 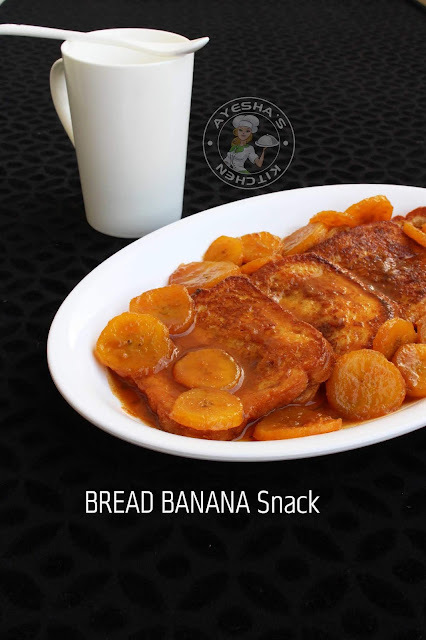 You can also refrigerate the french toast and caramel banana separately and then combine them only while serving. Do try this snack recipe with banana and bread. @ GReen Rose. Powered by Blogger.